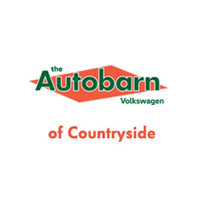 If you’re in the market for Atlas lease deals, The Autobarn Volkswagen of Countryside is the place for you to visit. Not only do we have a nice selection of vehicles for those in the Chicago area, but we have Volkswagen Atlas lease deals that will make bringing this car home more affordable. When you visit, be sure to explore the Atlas interior and see all the convenience and comfort features it includes. You can even take a test drive around the Countryside neighborhood to see how this model performs on the roads. Whether you want to compare buying vs. leasing or you’re looking for the best Atlas lease specials in the LaGrange area, The Autobarn Volkswagen of Countryside is the place to visit. Our knowledgeable team will help you find exactly what you’re looking for. Contact us today to schedule your test drive and bring a new or pre-owned VW Atlas home to Naperville today.